LTE as a network technology is very much a commercial reality, yet devices have dragged behind. It’s really only in the past 12 months that LTE handsets have been released in any great numbers. According to the ‘Status of the LTE Ecosystem’ report published by the GSA (Global mobile Suppliers Association), 63 manufacturers have now announced 347 LTE-enabled user devices, with around 250 new LTE announced over the past year. And as this initial trickle turns into a flood, terminal manufacturers, chipset suppliers, test houses and mobile network operators require comprehensive testing facilities to ensure also the UICC interface of this new breed of data hungry handsets is also in compliance with the standards. 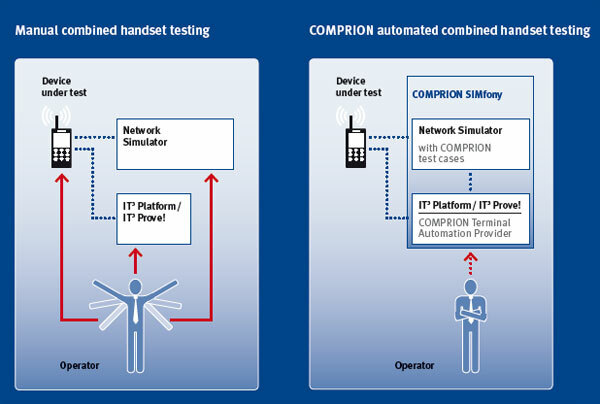 So says Jürgen Fischer, product manager for COMPRION’s SIMfony the company’s flagship LTE handset conformance and testing solution. 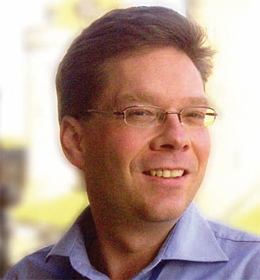 Historically speaking, Fischer says that all SIMfony test solutions follow the same set up and approach that was established for 2G and 3G device testing, comprising a (U)SIM simulator and network simulator. But many of the hard lessons have already been learned through the adoption of 3G technologies. So what role do companies like COMPRION fulfil and who is defining the requirements of conformance terminal testing to prove compliance with standards? The actual need for conformance testing has largely been defined by network operators. They are afraid of devices that might have a negative impact on the network or services offered, for example on roaming or billing services. They established certification bodies such as GCF, CCF and PTCRB, which are selecting the relevant set of test specifications for the card interface of mobile terminals issued by 3GPP(2) and ETSI which have to be successfully executed before the respective modems and handsets are allowed to operate in live networks. Fischer attends meetings at GCF every three months, working on benchmarks. The test cases become mandatory for certification when a sufficient number of validated test cases is reached for a specific test specification. “In LTE we have a large number of frequency bands so all these considerations have to be made separately to see if a sufficient number of test cases have been reached for such a band, and then such a certification can be started. In principle the procedure is the same but we have to guarantee that we can support each implementation as best as possible so our product works well,” he says. But the actual work for these products starts much earlier and is done inside the relevant technical specification groups of 3GPP, 3GPP2 and ETSI. “COMPRION is very active in those groups to support the creation of new test specifications and test cases, and we are often asked to take over the rapporteurship for those new work items and specifications,” he says. This is where COMPRION prides itself on being a one-stop-shop, developing all the necessary hardware and software under one roof. The company cites its independence, and has its own hardware system, the IT³ Platform which has been available in the market for nearly ten years now. According to Fischer, the concept of having hardware and software development under one roof has been well proven and the company does not like to have any joint ventures or development groups in place when it can rely on its own products. “We are not depending on systems that are not maintained anymore. This way, we can really continue with the system development from technology to technology and enhance these systems to support current market demands. COMPRION notes that it is not a common phenomenon, for such a company to provide the software and hardware together. “Usually you have several companies supporting different components and this makes it difficult for the customer and for the overall set up to work efficiently. Everything has to be tuned so that the test product is working fast and economically as well as being easy to set up. Then if you have a new update or software release a year later you might have a problem if it doesn’t work with the hardware. But we are able to test everything in house before we send it out to our customers,” he says.